It's great to watch videos on YouTube at your leisure time. Some videos really amuse you and make you burst into laughter, right? But when you try to download YouTube videos to iTunes, you may find that most downloaded videos are in FLV format while iTunes doesn't support FLV. Actually this problem can be easily solved with the help of Aimersoft YouTube Downloader. This smart program offers you various options for transferring your favorite YouTube videos to iTunes library. 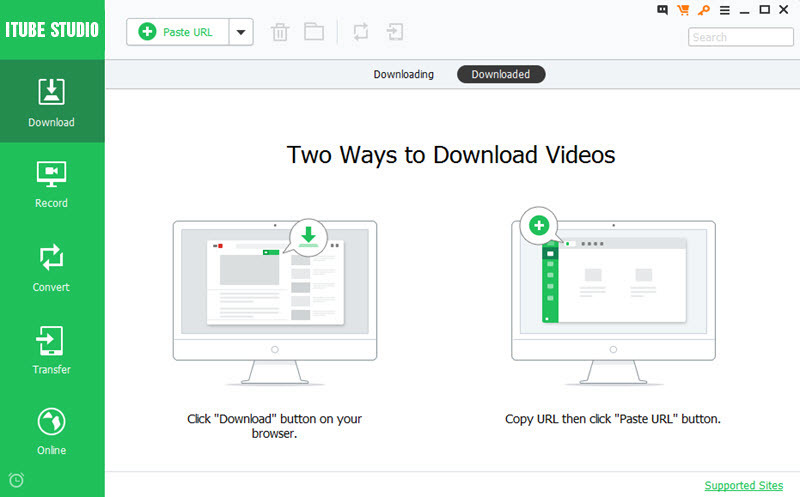 With simple clicks and drag-n-drop, you can download any video you like at a fast speed. Besides YouTube, over 1000 online video sites are well supported. 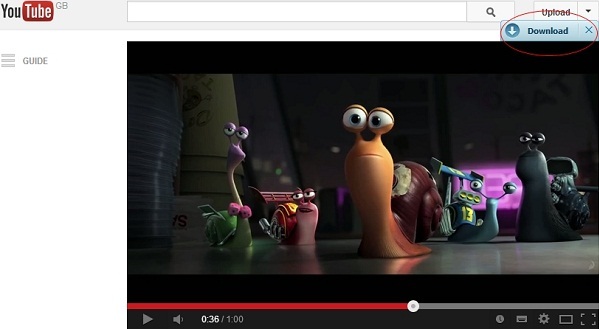 YouTube Downloader is not merely a tool to download online videos. It also serves as an excellent video converter, which empowers you to convert the downloaded files or any files stored in your local computer to iTunes compatible formats. Moreover, the program has a quite intuitive interface that almost anyone can use it like a pro. This program is fully compatible with Windows 8/7/XP/Vista. If you are a Mac user, you can turn to Aimersoft YouTube Downloader for Mac which works well in and Mac OS X 10.6, 10.7, 10.8 Mountain Lion and 10.9 Mavericks. Download and install the most suitable version on your computer right now. And then follow the easy steps below to download YouTube files for play in iTunes. Here the screenshots of Video Downloader for Win are used to show how simple the whole process is. The way to download YouTube video files for iTunes on Mac (Mavericks included) is the same. Mac users please follow this tutorial after installing the program. Run the program and visit the YouTube website to find the video you'd like to download. Windows version comes with a brilliant built-in browser, which enables you to access to your favorite online videos from the application. To open the built-in browser, you just need to click the Online Video tab on the top of the program and input the web address. 1> Click the Download button: When you're using Google Chrome, Firefox or Safari as your web browser, a Download button will appear at the top right corner of the video. You can then simply click this button to download the video clip with a preferred resolution. 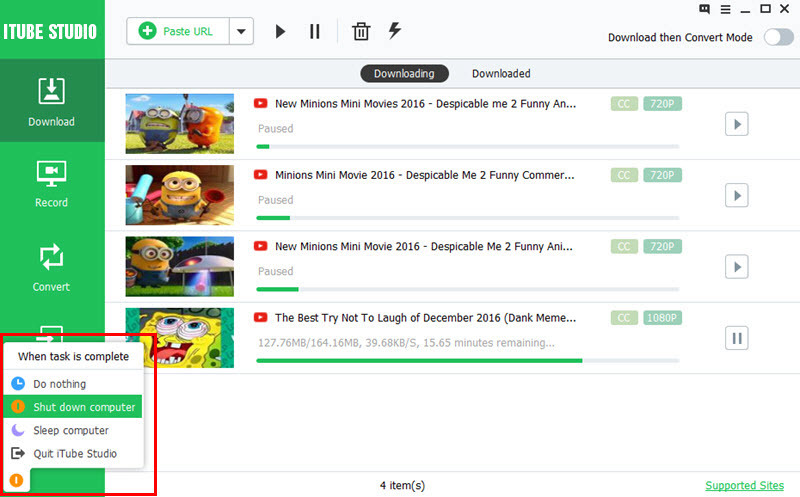 2> Copy and paste URL: The second way to save YouTube files to iTunes is to copy the video URL in the web browser and then click Paste URL in the program to add the video link to this YouTube downloader program. The program will then start to analyze the URL and get the video. 3> Drag URL to the program: The third method is to directly drag the video URL address from your web browser to the program. The corresponding video will then be added to the downloading list and just wait to get the whole video. Now you've downloaded the video from YouTube. This program allows you to convert downloaded files to iTunes supported MP4, MOV or M4V movies. To achieve the task, you can first hit the Downloaded tab on the left side of the interface to access to the downloaded files. Then click the Convert button next to each video clip and set a proper format for the output videos in the pop-up window. As you see, there is a Download then Convert button on the top right of the program. 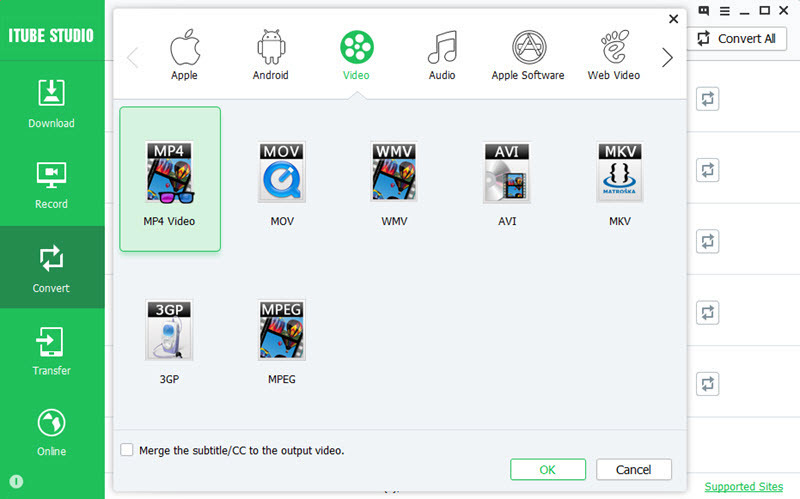 If you are a registered user, you can click the icon to preset the output format as MP4, MOV, and M4V before downloading a video. Then the program will automatically convert your files with presets. Now you're ready to add the videos to your iTunes library. Click File > Add to Library to find the YouTube videos you've saved and click Open to load them to iTunes library. You can then transfer them to your iPhone, iPad, iPod, etc. Bingo, all have done is a breeze. Now you can transfer your favorite YouTube to your iPhone, iPad, iPod for watching offline anywhere you go.